I eat oats for for breakfast everyday of the week. Sometimes I’ll skip having oats over a weekend because I’m either away from home or going for breakfast. But this really is my favourite breakfast recipe. It’s filling but doesn’t make you feel sluggish, it’s nutritious, and best of all, easy to make. I usually prepare my oats in a glass jar since it’s the safest container to use today. Plastic containers, especially those that don’t have the BPA free label on it, contain chemicals that transfer to your food when you’re heating food in the container or the plastic begins to wear. Eatright.org has an in-depth article on glass versus plastic – if you’re interested in finding out more about that, click here. I also prepare (at most) three jars of overnight oats on a Sunday night to make sure that I have breakfast for Monday, Tuesday, and Wednesday. Wednesday’s jar is always the tastiest. Meal planning for breakfast saves me a lot of time and money because I’ve had to calculate exactly how much ingredients I need and once I’ve made the oats on Sunday and Wednesday night, I can just hop over to the fridge to enjoy my already-set creamy oats. You’ll definitely enjoy this if you’re on a tight schedule and don’t want to have to worry about what you should have for breakfast. Pour all the dry ingredients into a glass jar or container of your choice. Add the container lid and shake to mix the contents. Remove the lid to add milk. I use almond milk because of my dairy-free diet but you can use any milk or water since almond milk is actually only 25% almonds, and 75% milk. Once you’ve added the milk, seal to make sure that all your dry ingredients have been coated with milk and refrigerate overnight. That’s it. Quick and easy. I never get tired of this breakfast recipe because there are so many different ways to make it. Try to get rolled oats and not instant oats because the texture of the oats is quite different. 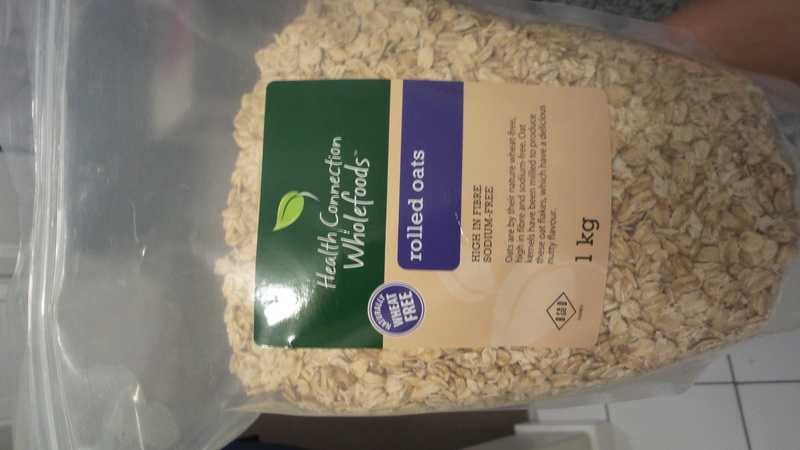 Rolled oats are the larger white flakes that take a while to lose it’s crunch. Also, this is my go-to recipe but you can add any of your favourite fruit, seeds, or milk. I’ve love to know if you’ve tried this recipe or already prepare your own overnight oats. Drop my a comment in the section below and let’s connect on social media: Instagram, Facebook, Youtube, and Twitter. Great post, I also love overnight oats – I haven’t tried it with almond milk though. Where do you buy the rolled oats?